WASHINGTON — The start of a competition to provide light-attack aircraft for the U.S. Air Force has been postponed for the foreseeable future, as the service decides the way forward for additional experiments, the Air Force’s No. 2 civilian said Friday. “The whole way we got to where we’re at, we put out an invitation to participate, and we only had two that met all of the criteria that we were looking for,” Lt. Gen. Arnold Bunch, the service’s top uniformed acquisition official, said in July. If the Air Force is seeking more data from the current entrants or wants to conduct further demonstrations, the exact nature of those future experiments are also unclear — though Donovan said more information about the path forward would be released this year. 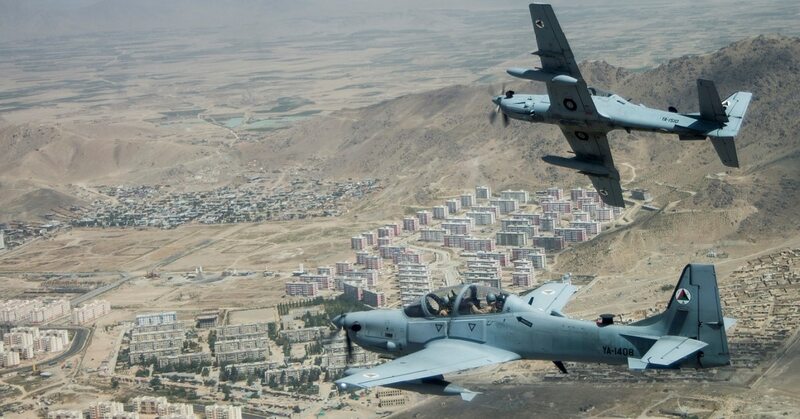 Although Friday’s announcement doesn’t shut a door on the light-attack aircraft program, it does highlight the difficulties of rapid acquisition. In 2016, Gen. Mike Holmes, then the Headquarters U.S. Air Force’s top requirements official and now the head of Air Combat Command, spoke with Defense News about the prospect of dedicating funds to flight test a range of off-the-shelf light-attack planes. The thought was that buying a low-cost, easy-to-maintain aircraft could effectively accomplish low-end missions in the Middle East at a lower expense than other Air Force planes, and that buying several hundred of such aircraft could also help the service absorb and train more pilots. Air Force Chief of Staff Gen. Dave Goldfein repeatedly spoke about seeing a potential light-attack aircraft program as a way to increase interoperability with air forces that couldn’t afford an F-15 or F-16, but who would benefit from commonality with American-operated platforms. The U.S. Air Force hasn’t determined whether it will continue its experiments with light attack aircraft, but that didn’t stop the service’s number-two general from touting the potential benefits in a speech to Middle Eastern and other international air chiefs. More than two years later, Donovan said the Air Force is still learning, and hinted that perhaps there was not enough buy-in among international partners. “Did we meet the cost targets that we’re aiming for? What’s the market out there for coalition partners? Are there a lot of folks interested in that, or is there something else?” he said.